CAN-AEROSOL-SPRAY-001 AR Mockup applies your submitted presentation directly on the straight sides of this aerosol product. 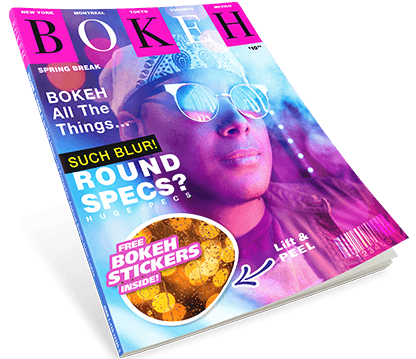 This PSDCovers AR Mockup is arranged using 168 shots with each as a proxy for a similar product. Existing digitally as a rasterized mockup, in reality, this aerosol dispenser is a metallic cylinder. Additionally, this sprayer has a high gloss finish similar to an enamel coating. Physically, this 200g product measures 233mm high and 57mm wide with a white plastic cap protector. Designers can create elaborately branded labels to cover all or just a portion of the space allotted for artwork. 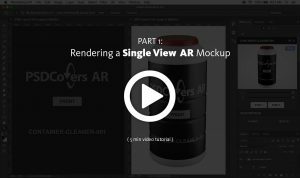 With this mockup, your client is able to interact with your proposed designs by rotating the product in our html player. 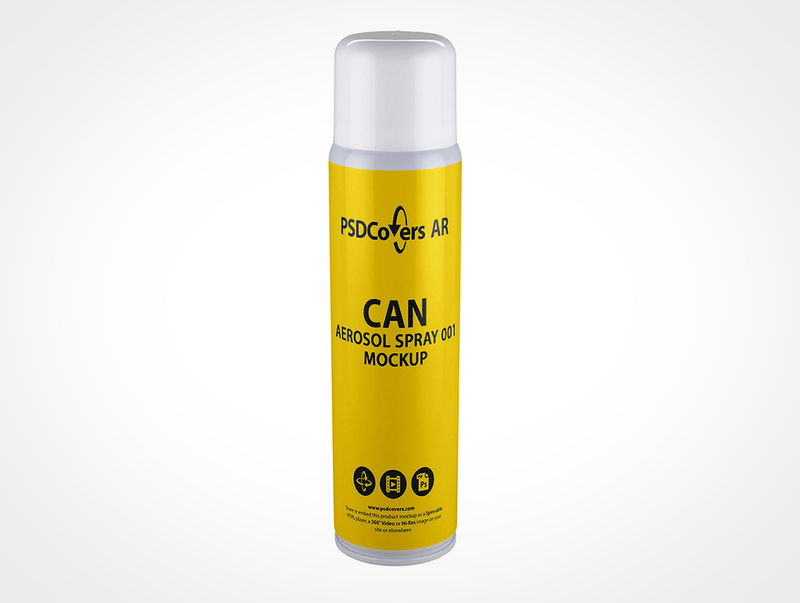 Open Photoshop, use PSDCovers to choose from any of 168 existing CAN-AEROSOL-SPRAY-001 product perspectives. Typically, you’ll only have to spend time creating a single layout for this aerosol product which is then affixed to any settled upon shot. Whether your blocked out presentation is a sticker print, silk screening, PS label, wrap label or spot label it will be directly affixed to the sprayer. Regardless of which view is taken, the final outcome is an layered Adobe Photoshop mockup. Feel free to edit the fully transparent background layer or include your own or easily modify the colour. Included in the PSD, required product gloss from the lighting setup are incorporated. Optionally, you can also create a 360° video of this aerosol or as a exportable VR experience using our custom player. Press the Spinnable Sample button above to preview the CAN-AEROSOL-SPRAY-001.